Parent Prayer Time – Held every Tuesday from 8:00-8:45 a.m.
As LCS wrapped up the Deliver the Dream campaign and looked to the future, the administration and board of directors realized it was time to take a hard look at our current realities and plan for our preferred future. The educational landscape has not escaped the rapid change that is sweeping all areas of our world. LCS leadership recognizes our responsibility to think deeply and act wisely to ensure that LCS will effectively prepare our students’ hearts and minds for what’s ahead. Strategic planning is essential to realizing the goal of providing high-quality education while exercising responsible stewardship of our resources. With this in mind, the LCS Board of Directors appointed Dr. Alan Pue of The Barnabas Group to lead a task force through a rigorous six-month strategic planning process. This group comprised parents, board members, administration and faculty members. Work teams were assembled to assess various aspects of the state of the school, re-affirm agreed-upon core values and forge the development of strategic initiatives for the future. The task force completed their work in January 2016, and in February, the Board of Directors adopted the four initiatives of the strategic plan outlined in this publication. In order to help you plan for the upcoming school year, we have compiled a list of projected additional expenses (some required and some optional) that will come up throughout the year. 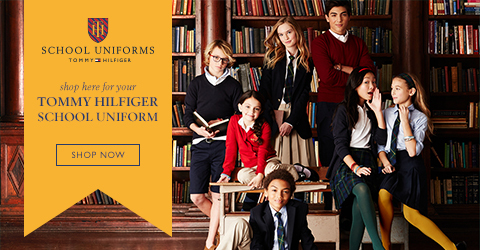 Uniform shirts which display the school logo are required. Throughout the school year and in the summer, LCS will hold used uniform sales. Watch the website and Weekly Updates for information on dates and times. Contact the Secondary Office or Middle School Office for more information on the used uniform sales. This Authorization for Medication form must be completed at the beginning of each school year or anytime a dosage is changed. It must be completed and signed by both the parent and physician. Signed by student and parent on page one, with a physical examination completed and signed by a physician on page two. Must be signed on all four pages by both student and parent, and parent’s signature on page one must be notarized. Student-Athletes must also watch a video on concussion prior to the first day of practice/try-outs. A certificate will be issued at the end of the course and must be brought into the Athletic Office or sent as an email attachment to dklages@lcsonline.org. The video needs to be watched every year AFTER June 1. Athletes must undergo a physical evaluation each year and must be certified as being physically fit for participation in interscholastic athletic practice or competition before being allowed an opportunity for such participation. This annual physical evaluation must be administered either by a licensed physician, a licensed osteopathic physician, a licensed chiropractic physician, a licensed physician assistant or a certified advanced registered nurse practitioner, and shall be valid for a period not to exceed one calendar year from the date of the practitioner’s signature. The elementary library is located in E285 on the second floor of the Elementary/Middle School Building. To access the Lakeland Christian School Library collection, please use the link below. You may search by keyword, title, author, subject or series. Each week, students in grades K4-5 have a period of time set aside to visit the library. During this time, students may check out books and are taught basic library skills. Students may check out a variety of fiction and nonfiction books or use reference materials in the library. Students have access to several computers that can be used for word processing, PowerPoint and internet research. Teachers may reserve the library in order to let classes research for papers and projects. The LCS library has a subscription to the Encyclopedia Britannica Online School Edition database. This online encyclopedia includes articles from approximately 400 periodicals. Students using this resource from home should use the following link to access the site: http://school.eb.com. The library also has subscriptions for SIRS, Literature Online and Science Online. Contact the library for user names and passwords. As a participant in the Accelerated Reader (AR) program, the LCS library owns a large number of books on the AR list. Elementary students may visit the library to check out AR books and take the AR comprehension tests. AR book lists are also available at Books-A-Million, Barnes and Noble, the Lakeland Public Library and the Plant City Library. Using Home Connect, parents can log on to see their child’s AR test results and more. If you have questions about Home Connect, please contact Mrs. Lynne McNutt. The LCS Library is open on select days throughout the summer for students to earn Accelerated Reading points. Please note that a parent must accompany the student at all times. Students who reach their goal during the summer will enjoy either a pizza party (Grades K5-2) or a bowling party (Grades 3-5). The LCS library has a special resource section available for the parents of our students. This section includes a number of books and tapes by notable authors such as Dr. James Dobson, Cynthia Tobias, Gary Smalley, Dr. Russell Barkley and many others. Subjects range from mothering to parenting strong-willed children to dealing with Attention Deficit Disorder. Dance Mat Typing is an introduction to touch typing designed specifically for children. They will start with Level 1 and build their skills gradually through Level 4. This program focuses on developing foundational skills to support learners at all levels. It emphasizes repetition and the practice of key skills, reinforcing study habits to sharpen students’ comprehension and featuring engaging activities that use animation, live action and sound to capture and hold students’ attention. This is a self-paced, student-centered online reading program that provides dynamic skills practice and improved reading performance. A motivating and fun reward system keeps students on task to learn critical word attack skills and phonics skills development. The purpose of the Parent Ambassador program is to serve as a resource for newly enrolled families – sharing important school information and inviting them to a variety of events that will help them get to know other school families. Parent Ambassadors are available to be contacted by new families who have questions about the programs or events of Lakeland Christian School. If you are interested in becoming an LCS Parent Ambassador, please contact Mrs. Julie Rice, Director of Enrollment, at jrice@lcsonline.org. We believe that the testimonies of and personal invitations from our current LCS families are the best marketing tools we have for recruiting new families for Lakeland Christian School. The 2018-2019 Welcome Wednesday dates are set, and we need your help promoting these Admissions Open House events. Please view the following links and start thinking about who you want to invite. If you have any questions or would like more information, contact Mrs. Julie Rice, Director of Enrollment, at (863) 688-2771 or jrice@lcsonline.org. The LCS Honor Code has been established to provide specific expectations of what attitudes and actions are essential in building a school culture that will contribute to the flourishing of all members of the community. Students are expected to contribute to fostering a school community that will reflect the glory of God by personally committing to comply with these standards and by encouraging one another to do so as well. Lakeland Christian School was founded in 1954 by a group of Christian businessmen who were convinced of the need for a Bible-centered educational program. The Board of Directors, then as now, focused on three crucial elements for the school: one, that all subjects must be taught in conformity to the standards and principles of the Bible; two, that every teacher must be a born-again Christian with an on-going, mature walk with Christ; and three, that the academic training provided by the school would be of a high quality. The purpose of the school is to come alongside the home and church and assist in teaching young people to think and behave in a Christian manner. This approach dictates a high level of expectation in every area of the school’s program. The school is very supportive of parents and realizes that in the area of character, they are the major instructors. In order for the school to do its job well, we select families that have the same goals for their children as the school. In that way we can be mutually supportive and hence effective. We consider the supervision of your child and your involvement with the school as essential ingredients in his/her success. Failure to comply with the policy and rules may result in loss of computer and internet access privileges, disciplinary action and/or legal action. LCS Headmaster Dr. Mike Sligh writes a special column in each edition of the Viking, a quarterly publication of Lakeland Christian School. Here are reprints of some articles that deal specifically with the importance of Christian schooling. How to Guard Sabbath for your Children, Gospel Coalition – A worthy read for over-scheduled families who try to “do it all,” seeking some benefit for children from a fast-paced life. Shed the Superman Cape – As parents, we all want to be approachable, credible leaders for our children. Dave Benzel offers some practical guidelines to assist us in offering effective leadership in the home. It seems to me that there are many biblical principles at work here though they are not identified as such. A stimulating piece for parents to read and discuss with one another. Enjoy! TV Tips for Parents – Article by Eric Metaxas, a co-host of BreakPoint Radio. The article discusses the correlation between excessive TV viewing and antisocial behavior in young people. How Much Sleep Does My Student Need? – Sleep is critical to healthy development, and like most things, the habits we learn in childhood carry through to our adult lives. That’s why it’s so important for parents to teach their children healthy sleep habits and promote restful sleep. This guide explains how much sleep your child needs, sleep problems affecting different age groups and how you can help your child get better sleep. In September 2009, Dr. Milton Uecker presented a seminar entitled “A Parent’s Role in Supporting a Child’s Early Education.” Dr. Uecker is the Dean of the Graduate School of Education at Columbia International University. He is best known for his expertise in the field of early childhood education. The technology that is common in the world today can have a profound effect on all of our lives, even beyond aspects or behaviors that we would readily identify as “unsafe.” The challenge for all believers today is to be good stewards of the technological resources available to us to accomplish God’s purposes as best as we can, while trying to intentionally shape our habits of use to reduce their potential harmful effects. Some parents, recognizing that their children lack the maturity, temperament or know-how to individually shape their own use of technology, have found it useful to enlist resources that are designed to help them supervise and set limits for their children’s use of technology. In the best scenarios, these are not viewed as tools for mere surveillance or control, but as tools that help parents better encourage and support their children in developing their own positive habits of use. We would like to make our families aware of the following resources and techniques for improving the safety of their child’s interactions on the internet, especially on mobile devices. We encourage families to try these out themselves to determine their quality; LCS has not directly tested them, though we are only choosing to share tools that have been well-reviewed by other technology specialist websites. Circle with Disney is a device you connect to your home network that can filter and monitor device activity, as well as pause the home internet for times like meals and create time limits for internet usage. Circle Go extends these abilities to students’ cell phones (we don’t recommend the use of Circle Go with students’ school iPads because the technology it uses would allow students to circumvent the school’s wifi content filters). Your home Wi-Fi can be set up to filter content that students access. Free filtering solutions often times only filter out the most obviously dangerous websites, but even that is safer than nothing. Directions for setting up your home Wi-Fi with OpenDNS FamilyShield are here. You can also set children’s mobile devices to use FamilyShield when accessing cellular data by using the DNS Override app. (https://itunes.apple.com/us/app/dns-override/id1060830093?mt=8). Bark connects to your child’s social media accounts to monitor them for cyberbullying and inappropriate interactions. When the service detects something dangerous or harmful happening in your child’s social media accounts, it would alert you to what is going on. Bark can monitor 22 different social media services including Facebook, Instagram, Snapchat, Twitter and Youtube. Mobicip replaces the default browser on mobile devices with its own filtered browser, and also allows monitoring of web browsing and app use. Additionally, it can schedule times when internet access is blocked for the device. Price: Free for basic uses (essentially, the filtered browser); $39.99 per year, with management and supervision features for up to five devices. An additional, non-technological resource for helping parents think biblically through the broad issues of the role of technology in their homes is the book The Tech-Wise Family by Andy Crouch. As is always the case, a determined actor can find ways around any digital tool meant to ensure children’s safety, which is why parents’ have such a critical role in actively engaging their children in conversations about dangerous and harmful uses of technology. There is no automatic, hands-off solution to keep children safe, but active and well-equipped parents can certainly make a difference. In compliance with the Florida Statutes listed below, LCS displays the required posters (see link below) for employees, implements the Code of Ethics protocol with all teachers, and provides the following contacts for reporting misconduct and abuse. Employee’s failure to report cases of abuse or misconduct carries a penalty up to and including termination. Protection for those who report abuse are described in Florida Statutes 39.203 and 768.095. Section 1006.061(1), Florida Statutes requires each district school, charter school and private school that accepts scholarship students under section 220.187 or section 1002.39 to post in a prominent place a notice that pursuant to chapter 39 all employees and agents of the district school board, charter school or private school have an affirmative duty to report all actual or suspected cases of child abuse, abandonment, or neglect. Section 1006.061(2), Florida Statutes requires each district school, charter school and private school that accepts scholarship students to post at the school site and on the schools’ internet site (if available) the policies and procedures for reporting alleged misconduct by instructional personnel or school administrators which affects the health, safety or welfare of a student. The notices must include the contact person to whom the report is made and the penalties imposed on those instructional personnel or school administrators who fail to report suspected child abuse or misconduct by other instructional personnel or school administrators. Below are some valuable resources and information for student drivers. If you have questions, please contact Mark Kirby, Driver’s Education teacher, at mkirby@lcsonline.org. LCS could not function without volunteers. From the fathers who serve tea at the kindergarten Mother’s Day event to the faithful concession workers who hand out pizza and hot dogs in Viking Stadium to the parents who chaperone field trips to the faithful weekly classroom workers … every single parent and grandparent is a valuable resource to Lakeland Christian. If you are looking for ways to get involved, visit the Parent Resource or Support LCS sections of the LCS website, contact your child’s teacher or principal. You can also call the school offices at (863) 688-2771. 1) Please make sure a car line cling is on the car that will be arriving to pick up your child(ren) or make sure that you have written a note in your child’s agenda if someone else is picking up your child. Car line clings or a note (preferably in the agenda) are the best options. 2) If your child is already at school and someone else needs to pick them up, a phone call to Pennye McCormick, Stephanie Hicks, Marsha Hannum or an administrator is necessary. Do not leave a voicemail as the person may be absent that day. 3) The teachers need something in writing (note in agenda, text, email or gold note from one of the offices). 4) Contact us if you need additional car line clings. 5) If there is a car line cling on the car, it is an automatic pass to release your child. Please only give car line clings to people you trust and who regularly pick up your child. If you have a nanny or babysitter that comes once a week or multiple times per week, they really should have a car line cling or you will need to write a note each time. 6) If you arrive without a car line cling on your car, you will be asked to provide ID and then we will check RenWeb from our phones. We will only release the child if you are listed as a family member or an emergency pick up person. 7) Many parents do not have everyone listed on the emergency pick up list. If you have multiple children, you need to list those allowed to pick up under each child. We know this may be different for some siblings due to custody situations. Try to think of friends who you may call at the last minute–the ones you ask to pick up your child so they are not sent to Supervision. Go ahead and help your friend or relative out and text them to confirm that you are listed on their child’s RenWeb. If your friends or family members are not currently listed on RenWeb, you will need to print this form, complete it, and then return it ASAP. If they are not listed and attempt to pick up your child, administration must call you to confirm it is fine for your child to be released to the person. If we are unable to reach you, then your child will be sent to Supervision. 8) If a person designated to pick up your child walks up to the teacher to get your child, they will be asked to show ID and we will look up info in RenWeb. It is safer if they stay in their car that has a car line cling. 9) Please review your RenWeb account periodically. Make sure all people are listed who you give permission to to pick up your child, (even in a pinch). You cannot edit RenWeb from home. 10) Please avoid long conversations with teachers in car line as this takes away from the safety of other children. 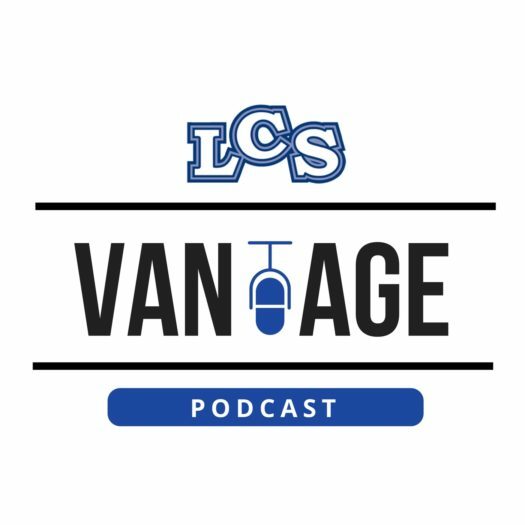 LCS is excited to announce our podcast Vantage available now on iTunes and SoundCloud. Coordinated by Mr. Geoff Stabler, the Director of Biblical and Worldview Studies, the purpose of the podcast is to share the vantage point of the school with the broader school community. The goal is to connect what is happening here at the school with those outside of the school. It will explore different topics that are relevant to all of our families, including technology, bullying, student engagement and more. The podcast will feature interviews with students, faculty and guest speakers. Who is the Vantage audience? We believe that the Vantage podcast is beneficial for students, parents, grandparents and more. Topics are relevant for both elementary and secondary age students and their families. We encourage you to share the podcasts with those outside of Lakeland Christian School as well. Listen to the Vantage podcast here and subscribe to stay up to date. You can also listen to each episode on SoundCloud. How often will new episodes be released? While there is no set schedule, new episodes will be released on a regular basis. Watch our social media channels and the Weekly Update for announcements about new episodes. If you have questions about Vantage, please contact Mr. Geoff Stabler at gstabler@lcsonline.org.